Address: 8809-A S. Old Oregon Inlet Rd. 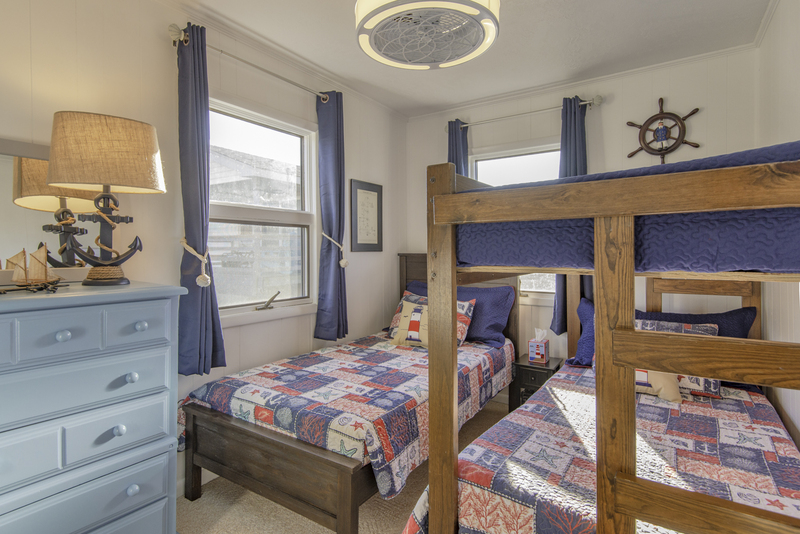 Outstanding ocean views, bright décor w/nautical themes, & updated throughout for the 2019 season w/all new bedding, paint, & remodeled baths. 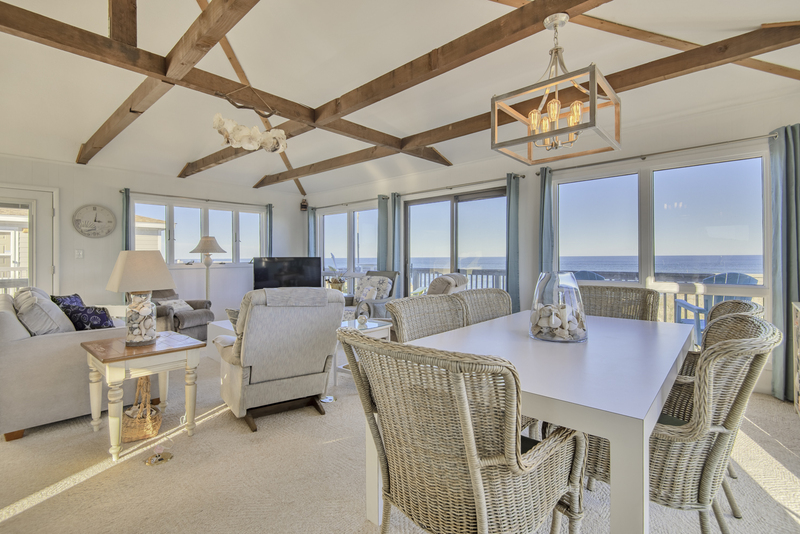 Nicely decorated, very well-equipped & well-furnished, sun deck & just steps from the beach. 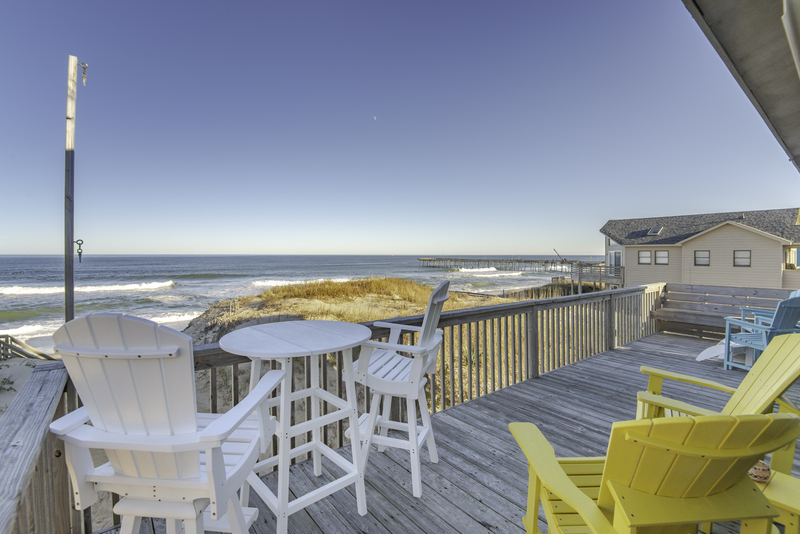 Walking distance to the Outer Banks Pier & Fishhead’s Bar & Grill. 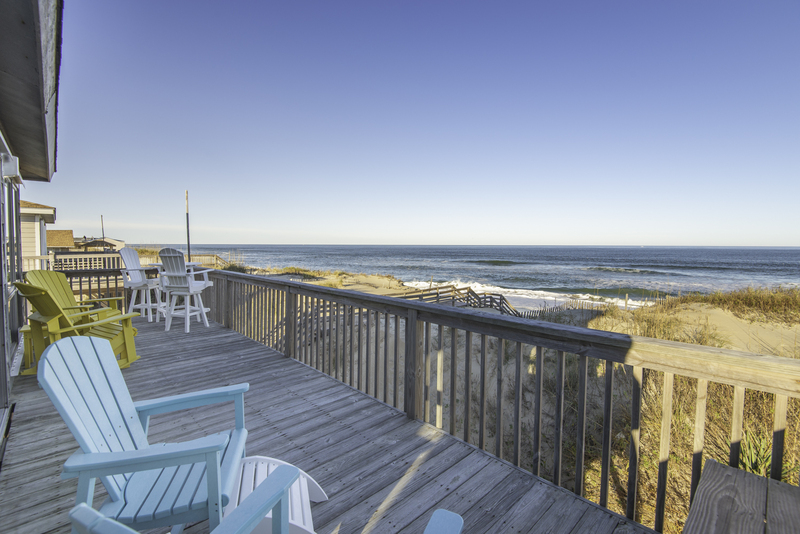 Close to Oregon Inlet Fishing Center & convenient to great shopping & dining in Nags Head. Ground Level: Parking for 3 Cars, Laundry, & Enclosed Outside Shower. Mid Level: 4 Bedrooms (2 w/Queens & TVs, 2 w/Bunk & Single) & Full Hall Bath. 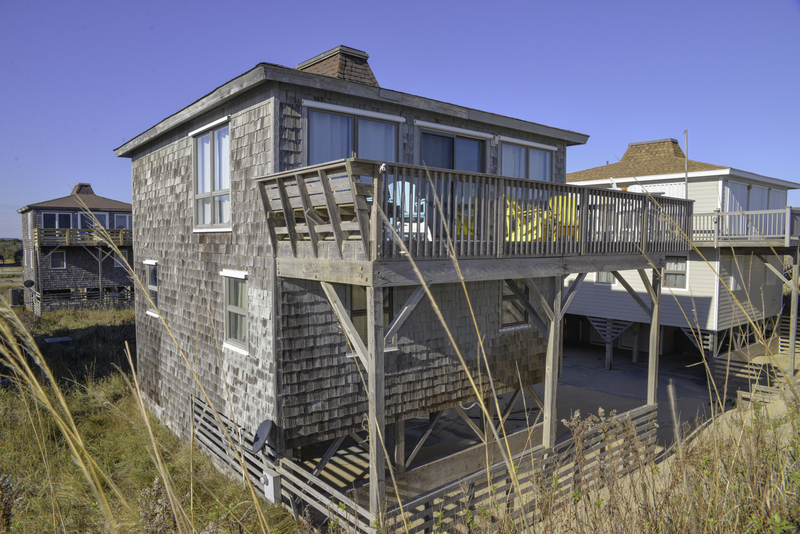 Top Level: Living/Dining/Kitchen, Full Bath, Flat Screen TV, Great Ocean Views, Sun Deck, & Deck Furniture. 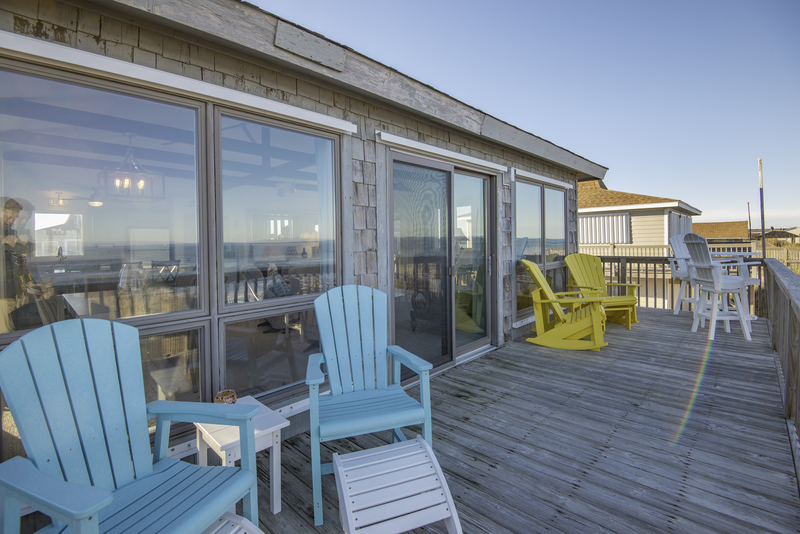 Features include: C/AC & Heat, Washer/Dryer, Microwave, Dishwasher, 3 TVs, Wireless Internet, Enclosed Outside Shower, Sun Deck, & Deck Furniture. No Pets. This is a Non-Smoking Unit.